This book is a humble attempt to create awareness among the people, particularly the Hindus, about the injustice done to the Hindu deities and to bring changes in the prevailing situations. This book highlights different areas where the Hindu deities suffer the most and it proposes some suggestions to check the undesirable treatment done to the revered deities. 1. Name: Santosh Kumar Behera 2. Birth: 17-09-1950, Sambalpur, Odisha, India 3. Qualification: Diploma in Fine Arts, Viswa-Bharati, Santiniketan, WB 4. 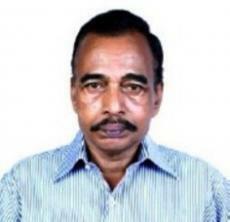 Profession: Drawing Teacher (Retired), Kendriya Vidyalaya Sangathan 5. Present & Permanent Address: Sen Park Lane, Nayapara P.O. & Dist. SAMBALPUR – 768001 Odisha, India (mail to: santosh.behera1709@gmail.com) 6. Service: Kendriya Vidyalaya, Puri (1977 – 1985) Kendriya Vidyalaya, Sambalpur(1985 – 2002) Kendriya Vidyalaya, Tezu (2002 – 2004) Kendriya Vidyalaya No.1, Bhubaneswar (2004 – 2008) 7. Activities: (i) Collecting discarded materials bearing pictures of Hindu Gods & Goddesses since 2003 till this day (ii) Collecting pictures of Hindu deities from newspapers delivered at my residence since 2004 till this day (iii) In order to create awareness among the people about the dishonouring treatment done to the Hindu deities, I have arranged an exhibition with my collection of discarded materials, bearing pictures of Hindu deities, such as packing materials (labels, wrappers, cardboard packets, plastic pouches and gunny bags etc. ), advertising materials (carry bags, pamphlets and posters) and reading, writing & printing materials (receipts, cash memos, tickets, envelopes, marriage invitation cards, visiting cards and torn pieces of newspapers) including discarded calendars from 05-12-08 to 16-12-08 in the 9th. Rajdhani Book Fair in stall No. 141 at Bhubaneswar. The public appreciated the effort and the media covered the event. May be this was for the first time in Odisha that an exhibition with this theme was arranged. (iv) I have brought this matter to the notice of different authorities and have sent articles on this topic to different newspapers but nothing remarkable happened. (v) I continue with my effort to create awareness among people about the dishonouring treatment to Hindu deities. This page was created in 1.4847 seconds.